Any events affecting the Citus Cloud platform as a whole are recorded on status.citusdata.com. This page shows a chart of recent uptime, as well as listing any past incidents. Citus Cloud metrics enable you to get information about your cluster’s health and performance. The “Metrics” tab of the Cloud Console provides graphs for a number of measurements, all viewable per node. Below are the metrics, broken into categories, with details about the less obvious ones. IOPS are a unit of measure representing input/output operations per second. The operations are measured in KiB, and the underlying drive technology determines the maximum amount of data that a volume type counts as a single I/O. Volume queue length is the number of pending I/O requests for a device. Latency is the true end-to-end client time of an I/O operation, in other words, the time elapsed between sending an I/O and receiving an acknowledgement that the I/O read or write is complete. To monitor events in the life of a formation with outside tools via a standard format, we offer RSS feeds per organization. You can use a feed reader or RSS Slack integration (e.g. on an #ops channel) to keep up to date. On the upper right of the “Formations” list in the Cloud console, follow the “Formation Events” link to the RSS feed. This is a notification of connectivity problems such as hardware failure. For planned upgrades, or when operating a formation without high availability that experiences a failure, this event will appear to indicate a future planned failover event. For planned failovers, “failover at” will usually match your maintenance window. 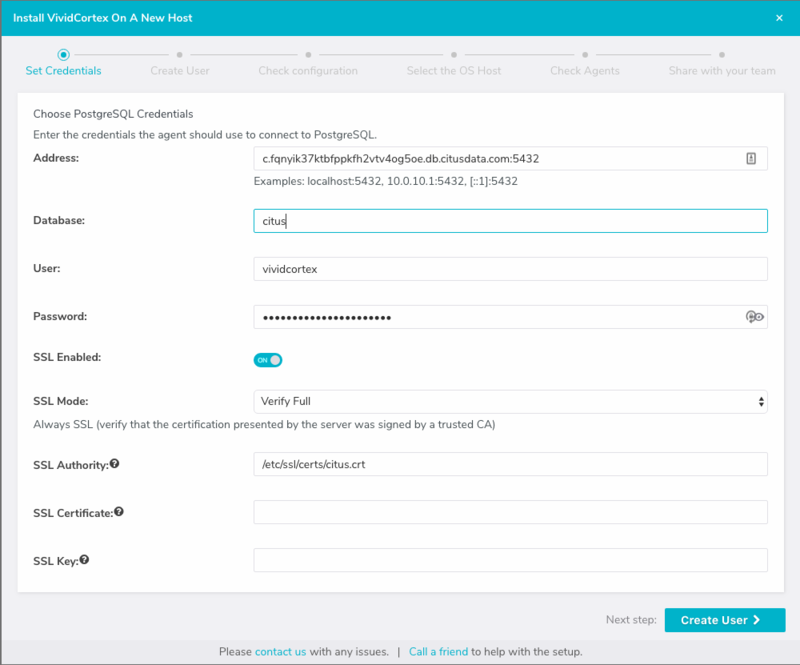 Note that the failover might happen at this point or shortly thereafter, once a follower is available and has caught up to the primary database. Failovers happen to address hardware failure, as mentioned, and also for other reasons such as performing system software upgrades, or transferring data to a server with better hardware. The “disk-almost-full” event happens if the disk utilization in the Postgres data directory reaches or exceeds 90%. The alert will appear once every twenty-four hours until the disk usage is resolved. The “cpu-utilization-high” event happens when there is CPU utilization reaches or exceeds 90%. The alert will appear once per hour until CPU utilization goes down to a normal level. The citus.mem. * metrics are reported in kilobytes, and are also recorded in megabytes as system.mem.*. Memory metrics come from /proc/meminfo, and the proc(5) man page contains a description of each. The citus.load. * metrics are duplicated as system.load.*. citus.locks.granted. * and citus.locks.not_granted. * use mode and locktype as present in Postgres’ pg_locks table. See the pgBouncer docs for more details about the pgbouncer_outbound metrics. 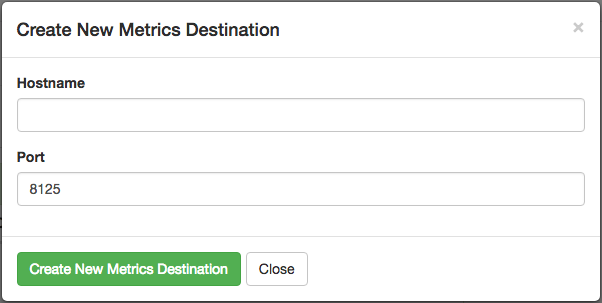 To send these metrics to a statsd server, use the “Create New Metrics Destination” button in the “Metrics” tab of Cloud Console. Then fill in the host details in the resulting dialog box. The statsd protocol is not encrypted, so we advise setting up VPC peering between the server and your Citus Cloud cluster. Datadog is a product which receives application metrics in the statsd protocol and makes them available in a web interface with sophisticated queries and reports. Here are the steps to connect it to Citus Cloud. Launch a Linux server, for instance on EC2. 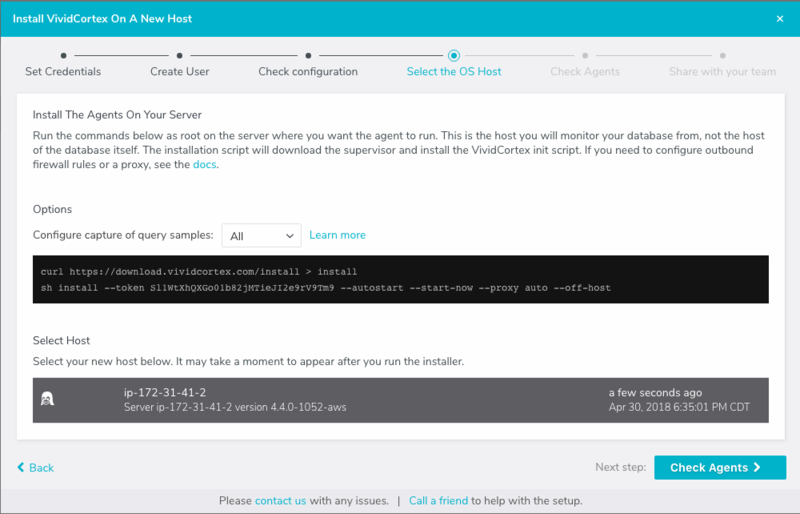 Fill in the agent server information as a new metrics destination in the Cloud Console. See the previous section for details. The agent should now appear in the Infrastructure section in Datadog. Clicking the hostname link goes into a full dashboard of all the metrics, with the ability to write queries and set alerts. Like the systems above, VividCortex provides a metrics dashboard. While the other systems mostly focus on computer resources, VividCortex focuses on the performance of queries. It tracks their throughput, error rate, 99th percentile latency, and concurrency. To integrate VividCortex with Citus Cloud we’ll be using the Off-Host Configuration. 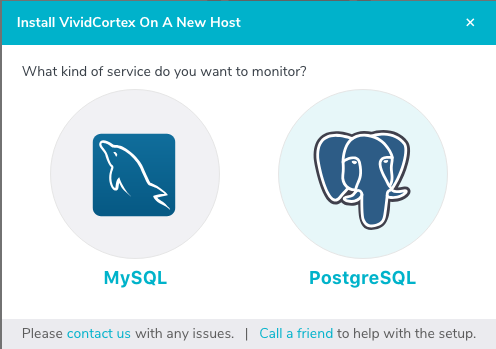 In this mode we create a database role with permissions to read the PostgreSQL statistics tables, and give the role’s login information to the VividCortex agent. VividCortex then connects and periodically collects information. Here’s a step-by-step guide to get started. Create a special VividCortex schema and relations on the Citus coordinator node. 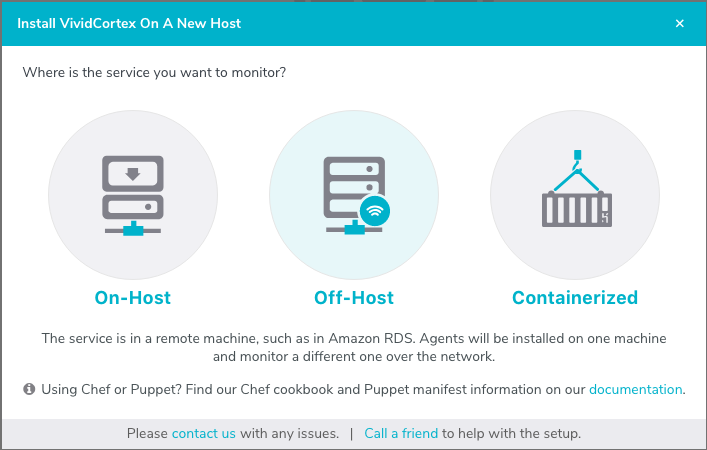 On the inventory page, click “Setup your first host.” This will open a wizard. Choose the off-host installation method. "GRANT USAGE ON SCHEMA vividcortex TO vividcortex;"
Finally note the generated password for the new account. Click “Show full URL” to see it. Input the connection information into the credentials screen in the VividCortex wizard. Make sure SSL Enabled is on, and that you’re using SSL Mode “Verify Full.” Specify /etc/ssl/certs/citus.crt for the SSL Authority. Provision a server to act as the VividCortex agent. For instance a small EC2 instance will do. On this new host install the Citus Cloud SSL certificate. Advance to the next screen in the wizard. It will contain commands to run on the agent server, customized with a token for your account. 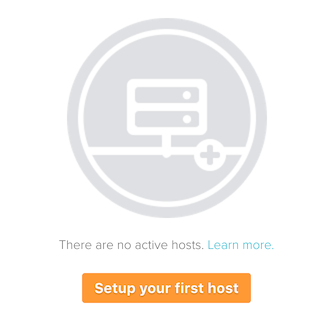 After running the commands on your server, the server will appear under “Select host.” Click it and then continue. After these steps, VividCortex should show all systems as activated. You can then proceed to the dashboard to monitor queries on your Citus cluster.